Follow this link to read the A research funding crisis? summary with all the diagrams and charts. Or read the summary below without the charts. Ahead of the Autumn 2017 Budget the Higher Education Policy Institute (HEPI) has published How much is too much? Cross-subsidies from teaching to research in British Universities written by Russell Group PG Economics student Vicky Olive. The paper concludes that research within universities is reliant on subsidy by tuition fee funding. As international students pay higher fees more of their fees go towards research than home and EU students. The paper concludes that on average international students contribute £8,000 from their total fees towards research. While the figures vary between universities, in 2014/15 teaching income funded 14% of English university research (approx. £1 in every £7 spent). The paper argues that although the UK has a leading global research performance (see diagram below) R&D expenditure is well below competitor nations and unsustainable in the long term. the impact of UK austerity policy which has seen limited science and research budget growth. government departments to contribute £760 million extra each year. Current R&D expenditure is 1.7% of GDP (25% of which spend by HEIs, 66% of spend by industry). 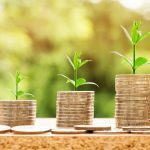 The Government has announced additional investment of £4.7 billion by 2020/21 for R&D, however, the paper argues this isn’t enough and that other sectors must also increase their investment. The paper summarises recent Government policy related to R&D budgets. The paper considers, and discards, the notion of only providing QR funding for 4* research. In addition to her calls to increase research investment the author states her aim is to bring together UKRI and OfS to facilitate a sensible research funding model which neither underfunds or jeopardises research sustainability nor exploits students. The paper also urges universities to push back and recover a greater proportion of full economic cost from industry funders, particularly when the research is not directly for the public good. Nick Hillman, Director of HEPI, commented : ”Anyone who wants to end cross-subsidies must say how they would fund universities’ various roles properly. There are three pressing issues. First, those who fund university research – public and private funders as well as charities – do not cover anything like the full costs. Secondly, the cross-subsidy from tuition fees to research is probably not sustainable at current levels. Thirdly, the Government wants a near doubling in research and development spending as a share of GDP, yet recent funding injections are only enough to stand still. Our conclusion is that the Chancellor needs to find another £1 billion for research in this year’s Budget, with some set aside for the work universities do with charities. But even this level of additional funding would mean stagnation relative to other countries. So we also need a strategy for increasing research spending to OECD levels over the next few years and German levels thereafter – as promised in the 2017 Conservative manifesto. The Times covered the report in University research subsidised with £281m from tuition fees. THE have written about the latest OECD data stating it shows a levelling off in global numbers of mobile students after the exponential growth of late 1990s and 2000s – read Data bite: international student flows in focus. As we near the Autumn 2017 Budget parliamentarians have been calling on the Government to support their campaigning interests. This week Vince Cable (Lib Dem Leader) covers education and research and development in his pre-budget speech: “Long term studies by the LSE have shown that the two main determinants of poor UK performance on productivity are lack of innovation (R&D as opposed to basic science where the UK is strong) and low levels of skills. The former problem is being addressed by R&D tax credits and by the work of Innovate UK, in particular the Catapult network, which Liberal Democrats launched in government as part of the Industrial Strategy. In September HEFCE blogged on the importance of academics within interdisciplinary research culture in What creates a culture of interdisciplinary research? HEFCE described what the new IDR role may look like in Wednesday’s blog REF 2021: Where are we on interdisciplinary research? OFFA has commissioned a new evidence based research study: Understanding and overcoming the challenges of targeting students from under-represented and disadvantaged ethnic backgrounds. HEA and Runnymede Trust will analyse existing practice across the sector and ‘produce a suite of practical guidance to support staff in a variety of different roles within universities and colleges in overcoming the challenges associated with this work’. The project is part of OFFA’s long-term aim to challenge and support universities and colleges to do more to address the differences in higher education participation, attainment and progression to further study or employment that persist between students from different ethnic groups. Scope call for inclusive workplaces: Scope has called on the Dept for Work and Pensions to develop universal, industry-standard information and best practice guidance for all businesses to support their employment and management of disabled people. Scope’s new research Let’s Talk found many disabled people struggle to share information about their impairment or condition in the workplace making it hard for them to access the support and adjustments they need to carry out their job. Andrew Percy (Con): Whether the remit of the Office for Students will include anti-discrimination on campus. Jo Johnson (Con, Minister of State for Universities, Science, Research & Innovation): The government has published a consultation on behalf of the new Office for Students (OfS) regarding the regulation of the higher education sector. It proposes that, in its regulatory approach, the OfS will look to ensure that all students, from all backgrounds can access, succeed in, and progress from higher education. Higher Education (HE) providers are autonomous organisations, independent from Government, and they already have responsibilities to ensure that they provide a safe, inclusive environment, including legal obligations under the Equality Act 2010 (the Act) to ensure that students do not face discrimination. The OfS, like some HE providers, will also have obligations under the Public Sector Equality Duty in part 11 of the Act. This includes a requirement that the OfS, when exercising its functions, has due regard to the need to: eliminate unlawful discrimination, harassment and victimisation and any other unlawful conduct in the Act, advance equality of opportunity, and foster good relations in relation to protected characteristics. In addition, in September 2015 the government asked Universities UK (UUK) to set up a Harassment Taskforce, composed of university leaders, student representatives and academic experts, to consider what more can be done to address harassment and hate crime on campus. The taskforce published its report, ‘Changing the Culture’, in October 2016, which sets out that universities should embed a zero-tolerance approach to sexual harassment and hate crime. This includes hate crime or harassment on the basis of religion or belief, such as antisemitism and Islamophobia. The Higher Education Funding Council for England is currently working with UUK to test the sector’s response to the Taskforce’s recommendations and the results of this will be published early in 2018. Lord Addington (Lib Dem) has asked three parliamentary questions regarding the disabled students allowance. Q1: Whether the evaluation of Disabled Students’ Allowances will include consideration of the need for third party advisers to have clarity of information about the respective responsibilities of higher education providers and claimants of those allowances. Q2: Whether the evaluation of Disabled Students’ Allowances will include consideration of the benefits of issuing a guide to higher education providers about their responsibilities in relation to students claiming those allowances who fall into bands 1 and 2. Q3: Whether the evaluation of Disabled Students’ Allowances will include consideration of the levels of information provided by higher education providers to students claiming those allowances about the respective responsibilities of those institutions and students. A: The evaluation of Disabled Students’ Allowances (DSA) will address a range of factors relating to the efficacy of support for disabled students, including the effect of recent changes to DSA policy. Q -Jo Stevens (Labour): How much was accrued to the public purse from charging international students applying for Tier 4 student visas in each year since 2010. These are due for answer on Tuesday 21 November. Student Engagement: Guild HE have written for Wonkhe censuring the limited nature of student consultation and engagement proposed through the new Quality Code and critiquing both the TEF and the Office for Students in Engaging students as partners: two steps forward, one step back. Awareness of policy is integral to many roles at BU and with HE constantly in the news it can be hard to sort the wood from the trees to keep current. We’re running two short and sharp HE Policy Briefings during November and December; all are welcome so come along to learn more! support you to consider actions you could take to prepare for change and challenges arising from these development. ignoring undergraduate TEF and focusing on bringing post-graduate TEF online, including the influence of social capital and the added value of the post-graduate qualification on social mobility. This approach controversially espouses a metrics only approach and abolishes the provider statements. Wonkhe also continue to unpick the influence of the provider statement in changing an institution’s initial metrics-based TEF rating. Marking the TEF creative writing challenge suggests the panel compensated providers who appeared to be effectively addressing poor NSS scores, took into account a London effect, and rewarded institutions with successful outcomes for part time study. A Times Higher article on the alternative to Erasmus post-Brexit highlights the downsides inherent in an Erasmus alternative. 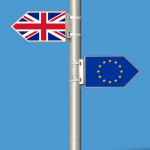 The EU exit agreement will determine whether the UK continues to participate in Erasmus, however, the government is currently pursuing a hard line on free movement which decreases the likelihood Erasmus would continue in its current form. An alternative is to establish bilateral agreements to exchange students with key European universities – just as we do now with international institutions. However, the article highlights the negative impact on social mobility – bilateral agreements mean the students must cover their own costs to some extent – decreasing the likelihood lower income students could afford to participate. While the obvious answer (to divert the UK’s contribution to the EU budget which funds Erasmus to a home-grown scheme) seems reasonable the budget required would be in excess of €113 million and the government have yet to confirm this as an option. Furthermore the time and administrative costs for universities to individually negotiate grants and agreements is excessive. The article also touches on lower demand from EU students to come to the UK suggesting exchanges may not be viable. Q: Catherine West: What discussions he has had with the Secretary of State for Education on the future of the UK’s participation in the Erasmus scheme. The government released experimental statistics estimating the value of exports from the UK education section, the respective contribution of the higher and further education sectors, and transnational activity for 2010-2014. (Transnational education is education provided in a country different to that of the awarding institution.) The total value was estimated to be £18.76 billion – an increase of 18% against 2010. HE was the main contributor accounting for 92% of the total value, with revenue from transnational education contributing the remaining 8%. The full report is here. Accompanying the experimental statistics is a report analysing the value of transnational education to the UK (originally published November 2014). The report discusses the benefits of transnational education to UK HE institutions (see page 11 for a summary). The Royal College of Nursing spoke out this week highlighting the discrepancy between the Government’s plans to expand the mental health workforce and the significant downturn in nursing applications attributed to the introduction of fees and the withdrawal of the NHS bursary. The Government has earmarked £1.3 billion for mental health services, pledging to treat an additional one million patients by 2020-21 through 24/7 services. The RCN says there is already a dangerous lack of workforce planning and accountability, and warns the Government will need to work hard just to get back to the number of specialist staff working in mental health services in 2010. They state that under this Government there are 5,000 fewer mental health nurses. The maximum fee ceiling is charged by most universities, there is little differentiation. This means the intended competitiveness was unsuccessful as there is no clear link between tuition fees paid and job prospects. (See page 8 of the full report for more detail.) While TEF still intends to differentiate fees paid on quality the scale of the difference is limited. It calls on ministers to avoid retrospectively increasing graduate’s fee repayments, to consider reducing loan interest rates, and to incentivise courses linking to labour shortages. Scotland’s previous no tuition fee policy which resulted in a student numbers cap means their social mobility outcomes are lower than England’s. The progression rate of free school meals (FSM) pupils has increased, but so has the gap between FSM and non-FSM. Page 5 has a diagram breaking this down by region. Graduate outcomes – disadvantaged students employed in the most advantaged occupations is up by 1%, although the gap between most and least advantaged students in these high-end jobs remains static at 6%. The Education Policy Institute has published Closing the Gap? Trends in Educational Attainment and Disadvantage. The report focuses on school aged children analysing the attainment gaps between children from disadvantaged backgrounds and their peers plus other pupil characteristics. It covers the progress made, the enduring challenges (including magnitude of learning gaps and lack of progress for the most persistently disadvantaged pupils). It recommends an additional 8 local authority districts on top of the 12 Opportunity Areas currently identified by the Department for Education. Finally, it states that without significant acceleration in the rate at which gaps are being addressed it take until 2070 before disadvantaged children did not fall further behind other students during their time in education. The Sunday Times led with an article claiming universities recruitment of the financially more lucrative international students was crowding out intake of UK undergraduates: Universities take foreign students ahead of British. The sector responded on Twitter and Wonkhe set out what is misleading in the Times article in their blog: What the Sunday Times got Wrong. This states that the Times article used inappropriate statistics and reminded that UK school leavers now enter university at the highest ever levels. David Morris (Wonkhe) writes: when I confronted Gilligan about this on Twitter, his response suggested (to me at least) a realisation that a mistake had been made. He argued that his piece “was mainly about the fact that non-EU undergrads are admitted with lesser qualifications” and that we shouldn’t suggest that part-time and second degree students “don’t count”. In his critique Morris also acknowledges the difficulty navigating HESA statistics for the uninitiated: HESA’s website is not the easiest to use, and one could easily look at overall undergraduate numbers and make an assumption about a story that simply isn’t there. I would urge HESA to make finding historic data more ‘journalist friendly’ for hacks with a deadline. To write this piece I have had to have six different tabs open on HESA’s website, plus three different Excel sheets and the HESA mobile app. No wonder mistakes can be made. Universities UK have published a directory of case studies illustrating how universities are tackling harassment, violence against women and hate crime. The case studies cover a range of areas including prevention, improving incident reporting procedures, effective responses, student and staff training, and good practice. All HE news has been dwarfed by the election outcome. At the time of writing we have a minority government in place and it looks as if there will be very uncertain times ahead. The obvious HE angle has been the reports of increased turnout, in particular amongst the young – and the power of the student vote to change outcomes in university towns. Again, at the time of writing, there has not been clear confirmation of the actual role of the younger vote – more information will be forthcoming in the next week or so once the analysis is done. The obvious immediate impact on HE of the result is that, because of the uncertainly, the publication of the TEF results, planned for Wednesday, has been postponed. It is not likely to be postponed for long, though. Longer term, there are rumours of a possible change of direction towards a softer Brexit and a softer approach to migration. The latter may happen – but possibly only because it will be difficult to pass controversial legislation. Softer Brexit seems unlikely simply because in the end the EU want a hard Brexit – but we will see. The Brexit argument did not help the Lib Dems much – suggesting that the majority is still pro-Brexit. There are also stories of a delay to Brexit – but that also seems unlikely as all the EU member states would need to agree. Universities are carefully considering their messaging relating to rankings position following a complaint to the advertising watchdog. The BBC report the University of Reading will remove their claim to be within the top 1% of the world’s universities after the watchdog stated the figure could not be substantiated and could be misleading. The difficulty over making claims arises because no ranking assesses every HEI and each ranking measures a different set of criteria. While the HE sector has long debated the usefulness and bias within rankings, and the impact on student institution choice, clouding the claims a university can make is likely to weaken international communications particularly within status focussed cultures. 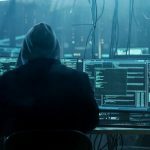 This potentially could exacerbate the current recruitment instability following the Brexit vote and the inhospitable atmosphere created by the immigration targets. New research from Claire Callender continues the debate on whether fees deter the poorest students from attending university. The researcher is keen to point out that prospective students fully understand the different nature of student loans and critiques the current policy focus on school achievement as the mechanism to boost access. Callender’s research found that debt aversion has increased among working-class and middle-class students and is a much stronger deterrent now than in the past. Recent increases in disadvantaged applications are attributed to few alternative options to the uncapped number of university places. Callender states: “Many potential students, particularly the poorest, do not feel that student loans are affordable, or a safety net against an uncertain future, despite understanding how the loans work. For these young people the idea that student loans are not really debt does not ring true…The current government’s argument that student loans widen participation is misleading. Our study shows that a student funding system reliant on fees and loans, regardless of whether debt is repaid or written off by the state, discriminates against those it claims to help.” These claims have been critiqued in comments left on the Wonkhe article by highlighting that students intention and opinion may not actually translate into university avoidant behaviour. Action on Access have published Supporting Student Success: What Works Programme. This is the final report following the 6-year retention and success programme, click here for the ‘summary’ (30 pages) and here for the full report. It emphasises the need for a whole-institution approach embedded in the local context and a mixed methodology evaluation to develop an ongoing evidence-informed programme of tailored interventions. Before the election, this week’s big policy news has been the release of the HEPI-HEA 2017 student experience survey findings. Wonkhe succinctly summarise the findings here, and there has been press coverage on the findings from the BBC, Guardian, and The Times. In brief, teaching is perceived more positively, learning gain has been reported positively (although Wonkhe disagree), and student wellbeing remains a concern. Most interesting is the consideration of the results dissected by student residency, ethnicity and sexual orientation. Students who live at home and commute score lower on satisfaction and wellbeing than students that relocate and live in. There are also clear ethnicity differences, in particular Asian and Chinese students rate teaching staff and value for money of their degree lower; and non-straight students score lower across the board on wellbeing. As Wonkhe suggest the interplay between race, commuting, attainment, wellbeing, learning gain, part time employment, and student support may make for some interesting personalisation interventions within the sector if the data can be sufficiently interpreted. Individual student experience differed greatly depending on ethnicity, accommodation (live in or at home) and sexual orientation. These factors had a direct impact on how engaged students are with their studies and on their overall quality of life. It raises the tricky personalisation agenda for universities and the report encourages deeper thinking about how to respond to the individual characteristics of each student. 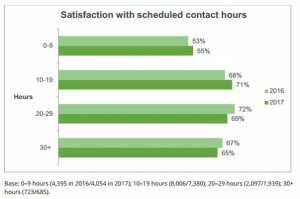 Contact hours: The report suggests student expectation around contact hours may be evolving because of the peak of 10-19 hours compared to 2016 peak of 20-29 hours. 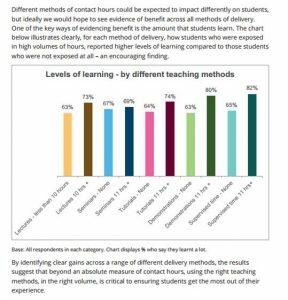 The report suggests that beyond this tipping point of contact time student satisfaction is also about using the right teaching methods in the right volume. Value of money: Perceptions of value for money are falling. 34% of students think they are receiving poor value (35% think they are receiving good value). Students want universities to provide information on where fees go, taxpayers to cover more of the costs and policymakers to provide stronger arguments for future fee rises. The decline in perception of value is of concern, and highlights how complex this issue is. For the third year running students have complained about the lack of information on how ‘their’ fees are spent. Only 19% of students believe they receive enough information, the report suggests therefore that institutions need deeper engagement and personalisation of approach with students at every stage of their higher education experience to meet their expectations better. There are ethnic differences in perception of value for money too. Among the UK-domiciled students the differences between white and non-white student groups are significant. Learning gain: Two-thirds (65%) of students in UK higher education say they have learnt ‘a lot’. Evidence that perceptions of teaching quality are rising includes year-on-year increases in students’ perceptions of teaching staff characteristics. Compared to 2016, a higher proportion of students think: course goals are explained clearly (up from 63% to 65%); teaching staff motivate students to do their best work (from 51% to 54%); and staff help students explore their own areas of interest (from 33% to 37%). Delving into the document there is a focus on how living arrangements affect learning. On average, students who live at home perceive themselves to be learning less, perhaps showing they are not as well integrated as others. Some institutions are now usefully exploring the concept of the ‘sticky campus’ to ensure all students have access to the non-academic aspects of student life. In addition undertaking paid employment for more than a few hours a week can be detrimental to academic work, including – potentially – the class of degree obtained. However, universities can potentially make life easier for students in need of extra income by providing on-campus jobs, acting as caring employers and providing managers who understand the rhythms of student life. Students that live at home are much less likely to report strong gains in learning and more likely to wish they’d chosen another course or institution – this raises issues of isolation and access to learning support. The report states the results highlight economic and cultural factors affect a student’s decision to live at home, particularly students within Polar areas 1 and 2 and the Asian community. Teaching quality: Perception of teaching quality differs by ethnicity. Staff characteristics are consistently rated lower among UK-domiciled Asian and Chinese students, these are also the cohorts with the lower scores for learning gain and value for money. Student wellbeing: Students are less happy and more anxious than non-students. The Survey confirms student wellbeing is lower than for the rest of the population. Only one-in-five students (19%) report low anxiety, compared to twice as many (41%) people in the population as a whole. Students who say they have learnt ‘a lot’ have higher levels of wellbeing, indicating how more positive results could be achieved in future. Sexual orientation & wellbeing: Students who identify as straight do better on each of the four wellbeing measures than other students, the report suggests HEIs have further to go in providing a fully supportive environment for people of all sexual orientations. University spending: Students were asked their most and least preferred ways to save money – wellbeing and support services emerged as a priority for retaining spending. 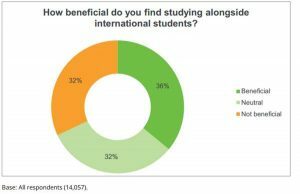 Global diversity: A new question asked UK-domiciled students about studying alongside students from outside the UK, 36% responded positively, 32% were unaware of any benefits and the remainder were neutral. The report suggests more needs to be done to explain the benefits of learning within a diverse environment to students. 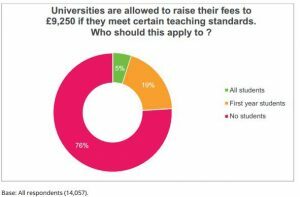 Teaching Excellence Framework: The survey reports the vast majority of students (76%) are firmly opposed to TEF-linked fee rises (or perhaps just opposed to fee rises). At the HEPI conference Jon Wakeford (UPP) spoke about how a focus on the role of transition to the university environment could help. On Tuesday 13 June the full LEO (longitudinal education outcomes) data will be released showing the connection between university graduate earnings and employment. It is expected to be released on this site – unless this is also postponed because of the election result. Welcome to this week’s political scene. Its been a relatively quiet week in policy land with the main focus on today’s general election, however, gender equality for female academics and the student academic experience survey have hit the news. The 2017 Student Academic Experience Survey results have been released. Wonkhe succinctly summarise the findings here, and there has been press coverage on the findings from the BBC, Guardian, and The Times. In brief: teaching is perceived more positively, learning gain has been reported positively (although Wonkhe disagree), and student wellbeing remains a concern. Most interesting is the consideration of the results dissected by student residency, ethnicity and sexual orientation. Students who live at home and commute score lower on satisfaction and wellbeing than students that relocate and live in. There are also clear ethnicity differences, in particular Asian and Chinese students rate teaching staff and value for money of their degree lower; and non-straight students score lower across the board on wellbeing. As Wonkhe suggest the interplay between race, commuting, attainment, wellbeing, learning gain, part time employment, and student support may make for some interesting personalisation interventions within the sector if the data can be sufficiently interpreted. For more detail on the findings see this week’s policy update. The QS World Rankings have been released today. Paul Greatrix writes for Wonkhe noting that while the UK still places 4 institutions in the top 10 the majority of UK HEIs have dropped lower in the rankings (including 11 of the 16 Russell Group institutions). Paul reports that QS highlight weaker research performance and reputational decline as the reason for the UK institutions ranking drop, and he anticipates further falls as the Brexit gloom descends. Furthermore, following a complaint to the advertising watchdog Universities are carefully considering their marketing messaging around rankings position. The BBC report the University of Reading will remove their claim to be within the top 1% of the world’s universities after the watchdog stated the figure could not be substantiated and could be misleading. It remains to be seen what impact this will have on recruitment, particularly for international students. This week the Guardian reports Patricia Fara’s (Cambridge historian) call for universities to invest more money in childcare if they want to see gender equality. The Guardian writes that childcare is the single biggest problem for female academics and cites the 2016 report from Institute of Fiscal Studies into pay inequality which found the pay gap widens steadily for 12 years after the birth of a first child, leaving women on 33% less pay per hour than men. The topic of female academics is also picked up by HEPI this week who discuss the expectation and difficulties of mobility in relation to career progression. There are no new consultations or committee inquiries this week. The new parliament will convene on Tuesday 13 June. You can read BU’s response to past consultations and inquiries here. The response to the European Commission’s Erasmus+ consultation has recently been added, read it here. Welcome to this week’s political scene within research. Here is a summary of the week’s generic policy reports and releases, alongside new niche consultations and inquiries. This week the role of EU funding in UK research and innovation has hit the headlines. Its an analysis of the academic disciplines most reliant on EU research and innovation funding at a granular level. Jointly commissioned by Technopolis and the UK’s four national academies (Medical Sciences, British Academy, Engineering and Royal Society) it highlights that of the 15 disciplines most dependent on EU funding 13 are within the arts, humanities and social science sphere. Most reliant on the EU funding as a proportion of their total research funding are Archaeology (38% of funding), Classics (33%) and IT (30%). The full report dissects the information further considering the funding across disciplines, institutions, industrial sectors, company sizes and UK regions. It differentiates between the absolute value of the research grant income from EU government bodies, and the relative value of research grant income from EU government bodies with respect to research grant income from all sources, including how the EU funding interacts with other funding sources. See the full report page 25 for particular detail on ICT and digital sector, and page 39 for archaeology. For press coverage see the Financial Times article. The European Environment Agency published European Bathing Water Quality in 2016. It sees the UK as second to bottom in the league table for quality of bathing water. While 96.4% of British beaches were found safe to swim in last year 20 sites failed the annual assessment. Only Ireland had a higher percentage of poor quality bathing waters at 4%. 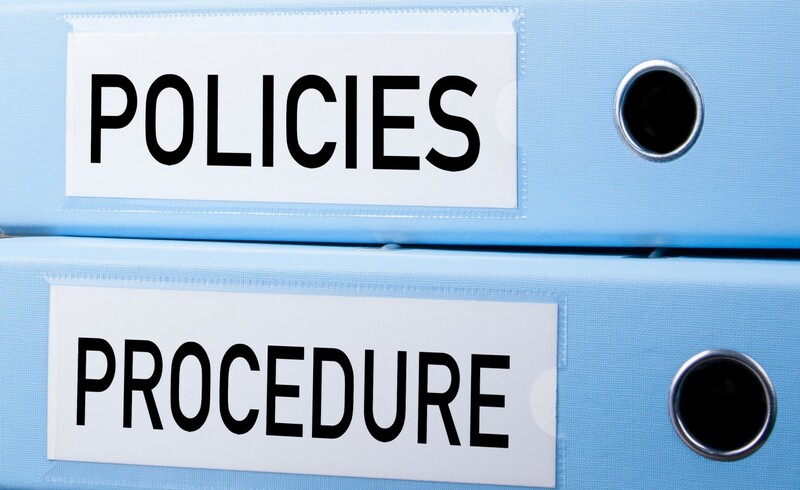 This week Research Professional ran a succinct article encouraging researchers to think more about when and how they submit evidence to policy makers. Timing is key, policy makers often want information instantaneously and the article urges researchers to be responsive but pragmatic, including a pro-active approach of gently keeping key policy makers informed of new developments. Researchers wanting to have a political impact may consider attending a UK Parliament Outreach and Engagement Service events. Responding to a select committee call for evidence is a great way for academics to influence UK policy. If you respond to a consultation or inquiry as a BU member of staff please let us know of your interest by emailing policy@bournemouth.ac.uk at least one week before you submit your response. This week there are three new inquiries and consultations that may be of interest to BU academics. Examples where a community based approach has been successful in removing barriers to participation in sport and physical activity? Approaches that were particularly successful in increasing participation among certain social groups, like women, ethnic minorities, certain age-groups? The barriers facing volunteers and how can they be overcome? The aim is to inform how Scotland might increase participation rates across all groups and sectors of society, respondents can select to answer only the most relevant questions. The call for evidence closes on 30 June. 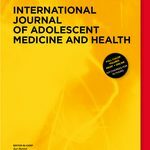 Has the growing use of social media and communications platforms amongst young people encouraged practices and attitudes that entrench poor body image? What is the link between “sexting” and body dissatisfaction? In relation to young men and boys, minority ethnic groups, and those who self-identify as transgender: what are the specific challenges facing young people in these groups? How effective is existing support? The call for evidence closes on 16 June. The Welsh government has opened a consultation on the implementation of sustainable drainage systems on new developments (schedule 3 of the Flood and Water Management Act 2010). The consultation closes on 11 August. 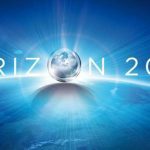 UUK have published International Research Collaboration After the UK Leaves the European Union. The information below summarises the main thrust of the document. International collaboration is vital as it enables individual academics to increase their impact through pooling expertise and resources with other nations to tackle global challenges that no one country can tackle alone. Cross-nation collaboration increases citations and combined talents produce more innovative and useful outcomes. The paper emphasises that the researchers themselves need to drive the collaboration and have choice. Selecting ‘Britain’s best new research partners’ is infeasible as sectors have different needs and Britain needs to collaborate with the countries with the richest talent and expertise. Funding needs to be well-structured and flexible to allow this. Almost all the growth in research output in the last 30 years has been brought about by international partnership. In 1981 less than 5% of UK research publications had an overseas co-author. 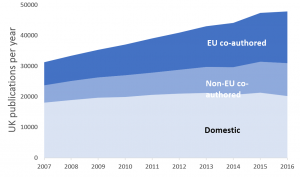 Whereas Figure 1 below demonstrates how collaboration has changed, illustrating how domestic output has plateaued and non-UK collaborations accounts for recent growth. Figure 1: The trajectory of international co-authorship on research publications from Imperial, UCL, Cambridge and Oxford. (Data: source, Web of Science; analysis, King’s College Policy Institute). Table 1 below highlights the UK’s major collaborative partners demonstrating a mix of EU and non-EU partners (non-EU partner in bold). Table 1: Countries co-authoring UK output (2007-2016). The UUK report reminds that research is a form of diplomacy leading to alliances and memoranda between national academies. The international links create esteem and demonstrate the wider engagement and status of an institution which is attractive to international students and staff. The report states there needs to be better understanding and matching of research and innovation strengths between partners and potential collaborators, with clearer articulation of these and provision of contact points at the research organisation, funding agency and sector levels. The circulation of people and ideas is fundamental to international research collaborations: National policy frameworks of all partners must be flexible enough to support international exchange, enabling critical human resources – including technical expertise – to flow between systems. The report highlights South Korea and Taiwan as attractive collaborators because of their research-intensive economies, strong technology investment, excellent university system, and high-English speaking rate. However collaboration is challenged by geography, proximity and cultural differences. UUK report that communication problems are a key barrier alongside the uncertainty about research profiles of UK universities and significant differences in research governance. Researchers working within different national contexts will have experience of different research cultures. These can be a source of strength and innovation, but also create challenges that must be understood, acknowledged and addressed. This requires time, but can be mitigated by the development of shared understandings, priorities and policy frameworks. Stability, certainty and trust are required if successful international research collaborations are to be fostered. Partners need to have confidence that the policy and funding environment will not be subject to unexpected or dramatic change after they have invested the time and resources necessary to develop productive and beneficial partnerships. Stability and certainty in both policy and funding environment is a key facilitator. The report effectively highlights the difficulties of ‘double jeopardy’ (Roberts, 2006) whereby all partners need to individually secure funding across a sustaining period to both commence and fully complete. Furthermore while countries commission and pay for the research it depends on individual motivation for success. Individuals make research choices that further their career and are fundable. EU links exist because researchers at well-funded institutions saw mutual net benefits, however EU collaboration proliferated because mutually assured Framework Programme funding supported it. The report suggests a mechanism for effective research collaboration is to create more flexible agency-level bilateral agreements with associated secure funding. A Memorandum of Understanding should identify common priorities and mutual research standards yet this should be backed up by a research fund. Page 6 describes collaboration with Brazil as an example of this. Roberts, Sir Gareth. (2006). International partnerships of research excellence. General Election: The general election (#GE2017) has been announced for Thursday 8 June meaning Parliament will dissolve on 3 May. In local news Oliver Letwin (West Dorset) was reported as announcing he will stand down and not contest the next election; however this related to 2020 and he has confirmed he will contest 2017. Current bills must receive Royal Assent before Parliament dissolves or fail; therefore a ‘wash-up’ period will likely take place to hurry key bills through. The ‘wash-up’ business must be agreed between the Government and the Opposition. Its a time when deals can be made, although its likely the Government may tighten ranks to push through a bill with the main thrust of its intent intact. Select committees are wrapping up their business with several inquiries prematurely closing their requests for evidence. 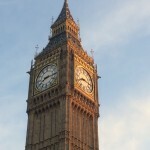 The chairmanship of several select committees will also change as Members can only chair a committee for the maximum of two parliaments or 8 years (Standing Order 122A). Purdah, commencing at midnight tonight, will impact and delay the TEF year 2 results, the release of the full LEO (Longitudinal Education Outcomes) data, the Schools that Work for Everyone white paper, and other announcements including the appointment of the Chief Executive for the Office for Students. HERB: The next stage for the Higher Education and Research Bill is ping pong, where the Commons respond to the Lords Third Reading amendments. Currently, no date is scheduled for ping pong and the bill is absent from next week’s published parliamentary business. With Parliament’s dissolution looming speculation abounds on the bill’s fate, its likely it will be considered on Thursday where the parliamentary business has been left unspecified. Opinion divides on whether the Government will concede or hard line to push the bill through. The House of Commons Library has published a useful briefing paper summarising the Lords Amendments. Furthermore, Research Professional report “the amendment to widen the grounds for appeal of Office for Students decisions is understood to have been accepted by government”, no authoritative source is provided to confirm this, although as one of least controversial Lords amendments it seems plausible. Student migration: Frequent in the press this week (Times, Huff Post, Wonkhe, Reuters) was Theresa May’s rumoured U-turn on counting overseas students within the net migration figures However, there are no firm commitments and the position is neatly summarised by THE: May is “offering to change the way that student numbers are calculated, with the promise of further concessions”; the government is likely to offer a “regulatory compromise” in how overseas student numbers in Britain are calculated. On Thursday Theresa May told the BBC: “We want to see sustainable net migration in this country, I believe that sustainable net migration is in the tens of thousands.” A recent UUK ComRes poll highlights that only a quarter of the public consider students to be immigrants. We wait to see how migratory targets are tackled in the Conservatives election manifesto. 2018/19 EU Students: The government has confirmed that 2018/19 EU students will remain eligible for undergraduate and masters student loans and retain their home fees status even if the course concludes after Brexit. EU students can also apply for Research Council PhD studentships for the duration of their study. Industrial Strategy – HE research commercialisation: HEFCE have launching the Connecting Capability Fund (£100 million) as part of the government’s Industrial Strategy to support university collaborations and research commercialisation. 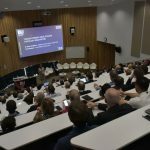 It is intended to help universities to deliver the industrial priorities, forge external technological, industrial and regional partnerships, and share good practice and capacity internally across the higher education sector. It is expected to be channelled through the Higher Education Innovation Funding (HEIF) programme with the first round deadline set as 10 July. The Common’s Science and Technology select committee have published: Industrial Strategy; Science and STEM skills. It urges government to increase the R&D investment and make up net shortfall for international collaborative research lost through Brexit, alongside stepping-up measures to increase children and students STEM skills. 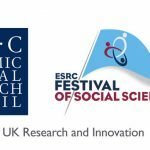 Research Councils UK have launched the £700k Strategic Support to Expedite Embedding Public Engagement with Research (SEE-PER) call aiming to better embed support for public engagement with research in higher education institutions The call will be open for a limited time, assessed by panel over summer 2017, with activity commencing no later than 1 October 2017. British businesses winning the Queen’s Award for Enterprise (2017) have been announced, the winning product/service for each business is listed in the Gazette. Among the winners is Poole based BOFA International Ltd (fume extraction). Rachel Hewitt, HESA, writes for Wonkhe to provide feedback on the new DLHE consultation. HESA report 80% support for the proposed survey design and a mixed response to the financial model mainly due to lack of information. A final version of the model is earmarked for publication later in June. Hewitt states: “We now want to ensure that HE providers have certainty over the implications of the review outcomes, and to enable them to start reviewing their systems and processes”, and commits to sharing information through the rolling FAQs. HEA and Action on Access have published: What works? Supporting student success: strategies for institutional change.